Cancer treatment is often a long and emotional experience. Typically radiation treatments are administered for at least 30 days. In order for the therapies to be effective, patients need to receive these treatments in close succession, requiring them to stay in close proximity to their physician and hospital. To complete the prescribed regimen and stay near their respective facility, cancer patients may incur large hotel expenses. 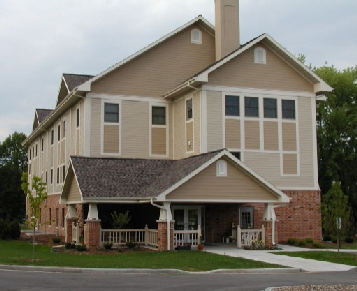 At Marshfield Hope Lodge, not only do patients receive lodging free of charge but they also receive support from other patients and caregivers and get to experience a sense of community during such difficult times, both physically and emotionally. Since Marshfield Hope Lodge opened in 2003, free housing has been provided to more than 6,000 cancer patients and their caregiver. Annually this equates to a savings of almost $4.8 million in lodging costs for cancer patients and their families. Funds raised at the 4th annual Gala will directly benefit the operating costs of the Marshfield Hope Lodge, ensuring these savings for cancer patients everywhere in their time of need. Joleen Specht, Manager at 715.486.9100.